Kate Shortman lifted the Helen Elkington Trophy after winning Solo Free gold at the ASA National Synchronised Swimming Championships 2017. The City of Bristol swimmer scored 75.5667 to finish 2.5 points ahead of Duet partner and nearest rival Isabelle Thorpe. Shortman came into the Championships as champion elect, having won the 15-18 Yrs National Age Group Solo title in December. The 15-year old also won the club Free Solo title on her senior National Championship debut months ago, albeit with the third highest score of the day behind Federici and Hannah Randall competing for Great Britain in the open competition. But Shortman stood alone as the best Solo performer in 2017, improving by more than two points from her score in 2016 with her routine to Joe Cocker’s ‘Sorry Seems To Be The Hardest Word’. “I didn’t personally feel like that was my best performance,” said Shortman, who scored 81.6333 for the same routine at the FINA World Series event in Paris last month. “I think nerves got on top of me a bit. But you need to do bad swims sometimes so you know what you can improve. It keeps you wanting more and wanting to do better. While Thorpe didn’t compete in the Solo event 12 months ago, she won silver behind Shortman at last year’s National Age Group Championships. The 16-year old’s performance to ‘Je Suis Malade’ by Lara Fabian oozed elegance and she showed good height and control throughout to score 74.0667 and fill second spot again. City of Leeds’ Rebecca Richardson made the podium for the fourth consecutive event as she claimed bronze. The 18-year old was the busiest swimmer of the opening day, finishing third in Figures, before adding a silver in the Tech Solo and bronze in the Free Combination. Rushmoor swimmer Chloe Thickett performing her Free Solo routine at the 2017 National Synchronised Swimming Championships in Nottingham. City of Bristol swimmer Greta Hampson performing her Free Solo routine at the 2017 National Synchronised Swimming Championships in Nottingham. Team Bath swimmer Ilaria Brandimarte performing her Free Solo routine at the 2017 National Synchronised Swimming Championships in Nottingham. 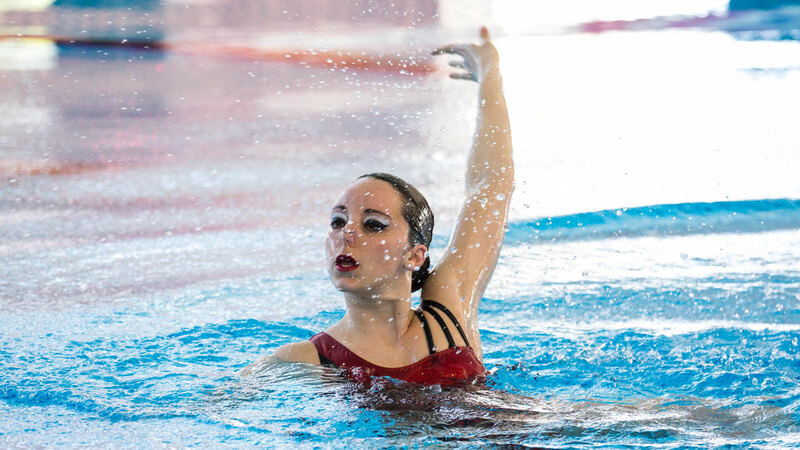 City of Bristol’s Isabelle Thorpe won silver for her Free Solo routine at the 2017 National Synchronised Swimming Championships in Nottingham. City of Leeds’ Isobel Davies performing her Free Solo routine at the 2017 National Synchronised Swimming Championships in Nottingham. Rugby swimmer Laura Ribeiro Da Cunha performing her Free Solo routine at the 2017 National Synchronised Swimming Championships in Nottingham. City of Salford swimmer Melissa Knapton performing her Free Solo routine at the 2017 National Synchronised Swimming Championships in Nottingham. City of Birmingham swimmer Phoebe Bradley-Smith performing her Free Solo routine at the 2017 National Synchronised Swimming Championships in Nottingham. City of Bristol’s Kate Shortman won gold for her Free Solo routine at the 2017 National Synchronised Swimming Championships in Nottingham. City of Birmingham swimmer Pyper Watkins performing her Free Solo routine at the 2017 National Synchronised Swimming Championships in Nottingham. 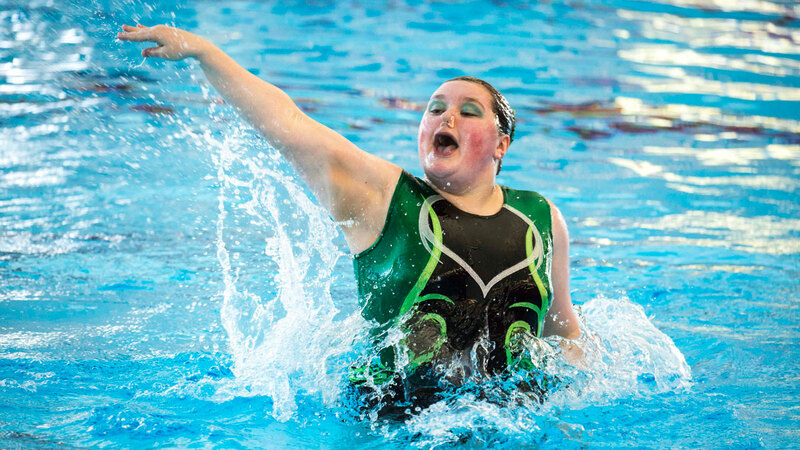 City of Leeds’ Rebecca Richardson won bronze for her Free Solo routine at the 2017 National Synchronised Swimming Championships in Nottingham. Preston swimmer Rhea Howard performing her Free Solo routine at the 2017 National Synchronised Swimming Championships in Nottingham. And Richardson’s medal charge showed no signs of slowing down in the Free Solo as she 68.9667 for her routine to Joss Stone’s ‘It’s A Man’s World’, edging ahead of Greta Hampson (68.1667) to prevent a Bristol clean sweep.